Priced to sell this is a great opportunity for a family looking for a sensibly priced three bedroom house in the wonderful Town Of Royal Wootton Bassett. Offering Dog Walks by the local canal, shops, restaurants great pubs and schools on hand with Motorway Links at junction 16. 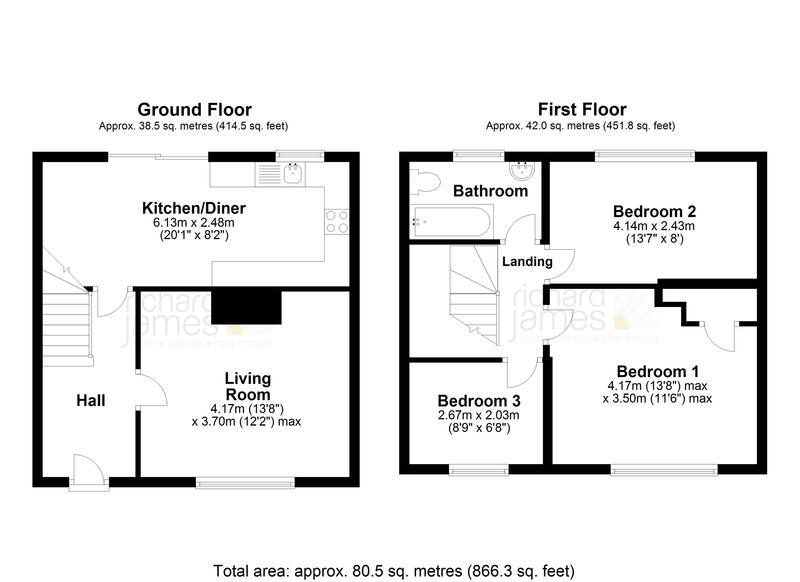 Comprising entrance hall, living room, kitchen/diner with patio doors onto the rear garden, three bedrooms and family bathroom. The loft has a skylight window offering in our opinion potential for conversion S.T.P.P. Outside to the front there is a driveway giving off road parking. Internal Viewing Recommended to appreciate this great family home.